With additional material and a foreword by Neil Gaiman. 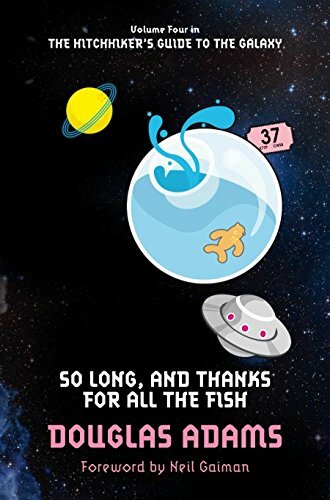 So Long, and Thanks for All the Fish, with a foreword by Neil Gaiman, is the fourth instalment in Douglas Adams' bestselling Hitchhiker's Guide to the Galaxy 'trilogy'.Just as Arthur Dent's sense of reality is in its dickiest state he suddenly finds the girl of his dreams. He finds her in the last place in which he would expect to find anything at all, but which 3,976,000,000 people will find oddly familiar. They go in search of God's Final Message to His Creation and, in a dramatic break from tradition, actually find it.